Alex Jones Sues PayPal For Anti-Conservative Bias - Joe.My.God. 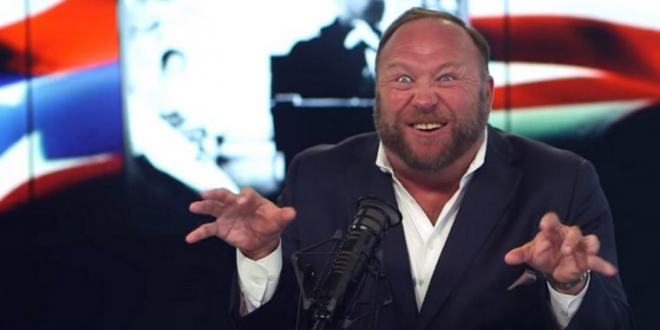 Remember all the times Alex Jones screamed about gay wedding cakes? Apparently businesses don’t have the right to turn you away because of who you are if you happen to be Alex Jones. Right-wing conspiracy theorist Alex Jones hit PayPal with a federal lawsuit Monday, claiming bias against conservative views guided its decision to block his company from earning money through the platform. PayPal was co-founded in 1999 by Peter Thiel, an openly gay conservative venture capitalist who supported President Donald Trump’s 2016 bid for president. The company was sold to eBay in 2002 for $1.5 billion.